On October 8, 1976, a Knoxville, TN high school loads around 40 of their students onto a school bus. Their plans for the day were to venture to the Smoky Mountains for some trail hiking but little did anyone know that by 3:00 pm they would be embroiled in a mystery that still haunts many of them to this day. 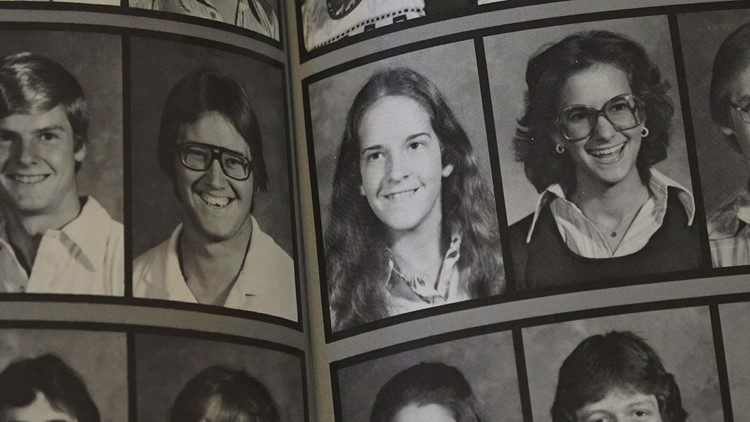 Teresa “Trenny” Lynn Gibson was 16 years old when she boarded the school bus that morning. No doubt excited to have a day away from the classroom with her friends. 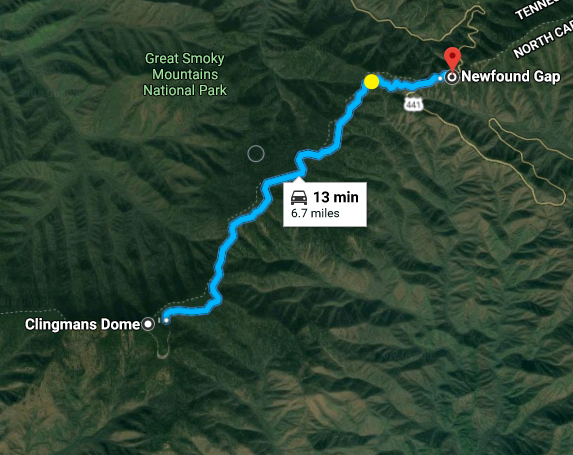 The trip from Knoxville to Clingmans Dome, which was the area the class was heading to, takes around an hour and forty minutes. Probably a little longer since they were in a school bus. Not that any of that really matters in the grand scheme of the day. I can’t find a mention of the time the trip began or when they actually reached their destination. The students were separated into smaller groups once they began hiking on the trails. 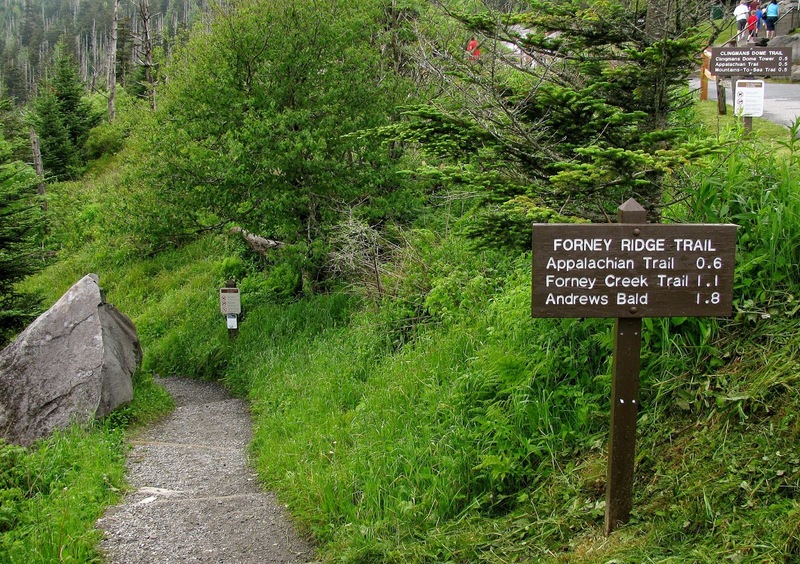 I believe their plans were to hike from Clingman’s Dome on the Forney Trail to Andrew’s Bald and back, that’s the only trail names I’ve seen mentioned in any of the articles related to the incident of that day. 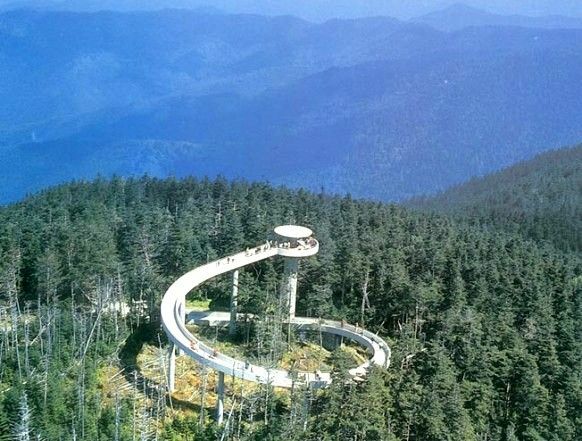 Clingman’s Dome actually has a spiraling structure that can be walked for a breathtaking view across the tops of the mountains. There’s a parking lot at the bottom of the area, so I’m going to go out on a limb and say that this is probably where the bus was parked for the day. Like I said there aren’t many details about what happened in regards to parking and the like. At around 6 PM, she was reported missing to Park Rangers. A search began that evening but no headway was gained as the weather changed to rain, and then to fog. Helicopters were forced to wait until the fog cleared the following day before any aerial searches could begin. More and more people volunteered to search for Trenny over the following days. Rangers blocked drivers from taking the road to Clingman’s Dome while the search was underway to prevent unnecessary traffic. Searchers used around a half a dozen tracking dog teams, three of which alerted to her scent being at the intersection with the Appalachian Trail and then following it up to Clingman’s Dome. More alerted to her scent being along the side of the road about a mile and a half from Newfound Gap. Supposedly there was an open beer can and some cigarette butts found on the ground at the location the dogs indicated on, but no mention of whether they were thought to be ‘fresh’ so to speak. If you go to google maps and zoom in, you can easily follow the Appalachian Trail and see that it leads out to around the location that the dogs alerted to. I just can’t figure out why they wouldn’t have alerted to her scent being the entire length of the trail back to where it intersects with the trails around Clingman’s Dome if she had in fact managed to walk that entire distance. I know her father had stated in an interview in 1982 that her family believes she was abducted. I’m just not sure how someone could forcibly remove her from that area without being seen by someone, given that there were other students and other hikers all over the place. She may have wandered off and gotten lost. The Appalachian Trail goes on for miles and miles, and it’s easy to get disoriented when you’re in the wilderness. Especially if you’re alone and scared. When I was growing up I frequented a local summer camp, and I remember one time we were hiking a pretty simple, well-marked trail and I still managed to take the wrong path. The only thing that stopped me from having a meltdown was the fact that there were several others along with me. Also, our divergence from the main trail was noticed within minutes and a few counselors came to retrieve us. So from personal experience, I know how easy it is to take a wrong turn. She may have managed to fall from the trail, I can’t really comment on that theory since I haven’t laid eyes on the spot she disappeared from. However, if the witness statements are true, and the path was steep with drop-offs, it isn’t impossible to think she may have fallen. You’d think though, if she’d actually fallen at the area she was last seen, there would have been some evidence of it happening. Another theory is that maybe she orchestrated the whole thing herself and ran off with someone. I think that’s about as likely as the abduction theory, especially since Trenny left everything she owned at her home that day; her ID, wallet, and several hundred dollars she’d managed to save up. Granted, she may have chosen to leave her wallet and ID behind, but if you’re going to run away, wouldn’t you at the very least take your money? What if something more nefarious did happen though? What if something was planned out and enacted by someone that was along on that trip? Please take a look at my friends’ blog that is dedicated to Trenny HERE. Trenny’s case is her ‘white whale’. However, I think she’s got the tenacity it takes to crack it wide open. 11/28/2018: The Trail Went Cold has released an episode that covers Trenny’s case!! Listen Here!